Saturday, December 3, 2016 at 9:00 a.m. 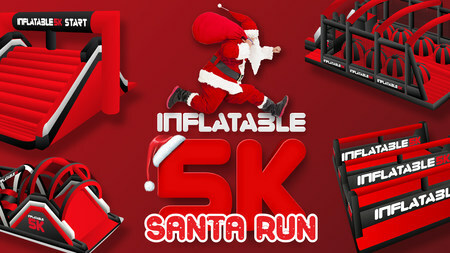 Pit your wits against ten giant inflatable obstacles that will let you flip, bounce and boing your way around a 5k course in full Santa kit. Sounds crazy? It is. Guaranteed to be so funny you'll complete this with your sides hurting from laughter.